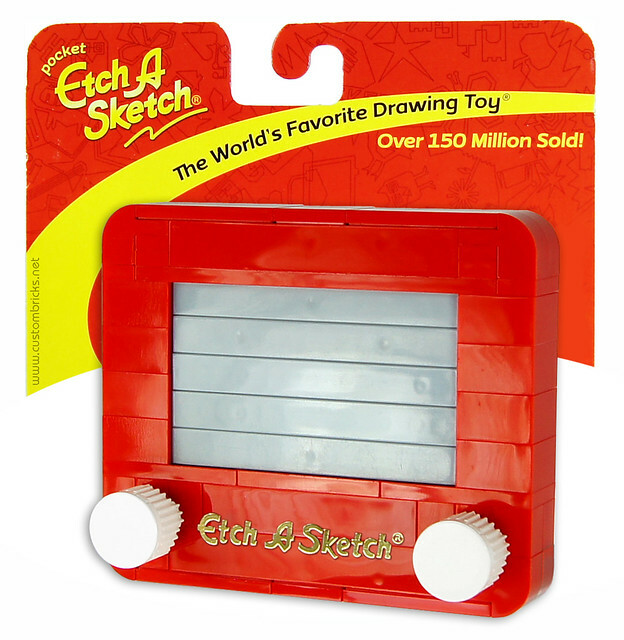 Here at BrickNerd we like to look back from time to time, and draw squiggles with knobs. This is childhood in a single picture, an iconic toy built from my favorite toy. Everyone remembers trying to draw the family pet or house, only to discover part way through that there was no way to get to that next detail without leaving a bizarre contrail. Then with one mis-turn of a knob and the whole thing was for not. No biggie though, one big shake and it was on to the next drawing. I don't know how old this MOC is, all I know is it was built by customBRICKS, and it's awesome.